Cheap holiday gifts don't have to look cheap and they sure should not make you feel miser. Plan in advance, buy cool gifts and have a wonderful holiday without exceeding your family budget. Set the total budget for all the gifts and then set the sum for each gift. Plan in advance and have a wonderful holiday without exceeding your family budget. Buy in bulk – If you find a gift item you can use for different occasions / recipients and especially if you choose to follow my previous advice - you should buy your gifts in bulk. The cost per unit is cheaper and in some places you can negotiate for additional discount. This is also a good advice for kids' birthday gifts. Buy in bulk, wrap each item and you have gifts for all the birthday parties your child is invited to. Join forces – If you have a limited budget but you want to give relatively expensive presents you can join forces with other family members. With all of you joining forces you can afford one pricey gift to each recipient without exceeding your budget. Don't wait until the last minute – last minute gift buying tend to be more impulsive and because of that – more expensive. Finish your gift list at least two weeks before the due date. Try to buy all the gifts on the next week and leave the last week for wrapping the gifts and other holiday errands. Buy extra 2-3 presents for unexpected guests that might pop up. Garage sales and flea markets are great places to look for cheap holiday gifts. You will be amazed with the things you can find. If you arrive early enough you might find new items still in their original package. Before you pay make sure the item you chose is not broken and that there is no missing parts. Herbs and Spices – This is one of the most unique inexpensive gifts for those who love to use fresh herbs and spices. Go to the greenhouse and buy several herb plants (like sage, Melissa, lemon grass, mint) or several spice plants (like basil, parsley, oregano, rosemary, thyme). Plant the seedlings in matching planters – one pot for every seedling, or you can plant them in a long planter. 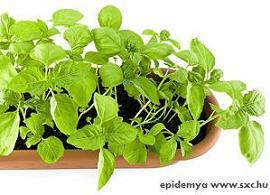 If your recipient will plant them in his garden leave the seedlings in their original pots. Ask the person at the greenhouse how to take care of each seedling (how many times a week to water, where to place it…). If you are a plant killer like me ask him to plant them for you. Usually they won't charge you for that service. Add a little note (or flag) to each seedling with its name and with short instructions of how to take care of it. Breakfast Gift Certificate for 2 is a fabulous, cheap holiday gift. Give your recipients a refreshing way to start for their day. Magazine Subscription – There are hundreds of different magazines out there, divided to many areas of interest. I'm sure you can easily find a magazine that will interest your recipient. Think of her hobbies or her profession and the direction will pop up! All that left for you to do is browse through the relevant list of magazines and choose the one you think she will like the most. Tea Lovers – If you are looking for a unique, yet cheap holiday gifts you might like this gift idea. Go to one of the herbs and spices stores in your area and buy different types of herbal tea mixes. Put each herbal mix in a nice little jar and put a label with the ingredients and its benefits for one's health. Put all the herbal teas in a big box and that is it!!! You can put each herbal mix in a cellophane bag, put a label and arrange all of them as a gift basket (it is cheaper than using boxes). 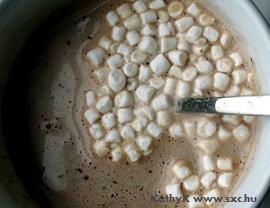 Hot Cocoa is one of my favorite treats for those rainy cold days. Make a little hot cocoa gift basket. Use hot cocoa powder mix, good quality chocolate chips or Hershey's kisses (to make hot cocoa by melting the chocolate in the hot milk) and marshmallows. You can use a very big cup as a container for the gift basket and for the cocoa. You can make (or buy) chocolate spoons. You fill the spoon with melted chocolate and cool it. Wrap the spoon's head with a cellophane bag and tie it with a nice ribbon. You can make a gift basket around hot beverages – use some herbal tea mixes, hot cocoa powder mix, gourmet coffee blends or beans, some little chocolates as fillers and some good cookies to go with it. Gift Baskets make wonderful, yet cheap holiday gifts. They are fun and easy to make. Select an interesting theme that is close to the recipient's heart, add a little creativity and…You get a great unique gift basket. Car Care and supplies Gift Basket. Most of us own a car. We drive it and spend quite some time in it. Assemble a simple car care and supplies gift basket and pamper your recipient and his car. Beauty care – Most women have their beauty care routine. Give her a gift certificate that will help her keep that routine – one time manicure, pedicure, polish change or body massage – all will be accepted with a very big smile.